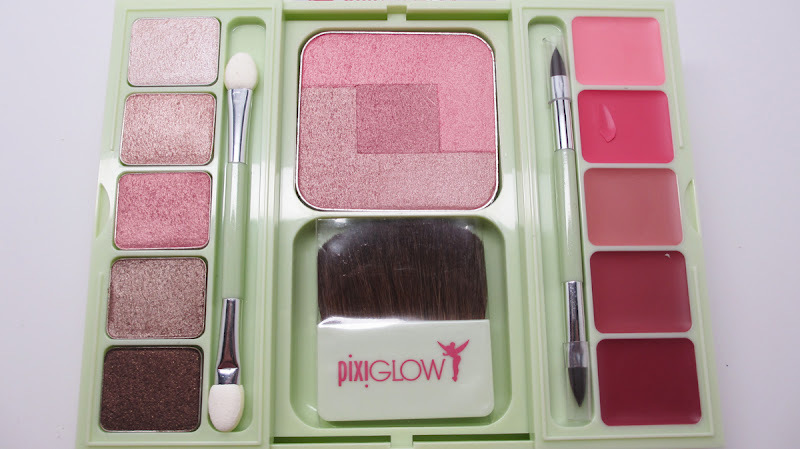 Home pixi REVIEW Review - Pixi's Tinkerbell Inspired Makeup Line! I'm back with another review. 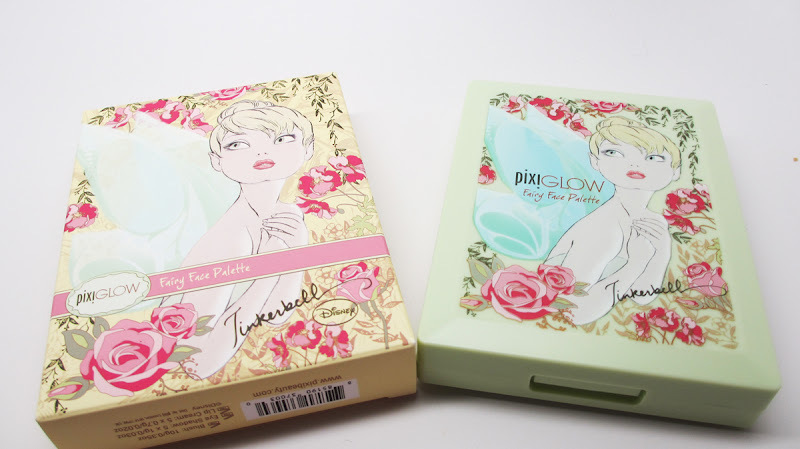 I sneak-tweeted some pictures of PixiBeauty's newest Tinker Bell inspired line a few weeks ago and now i'm back with the formal review. Best yet, this line is affordable and available at your local target. If you're a Disney Princess Wanna-Be like me, you gotcha check out this post! Pixi Beauty has launched PixiGlow for Target. 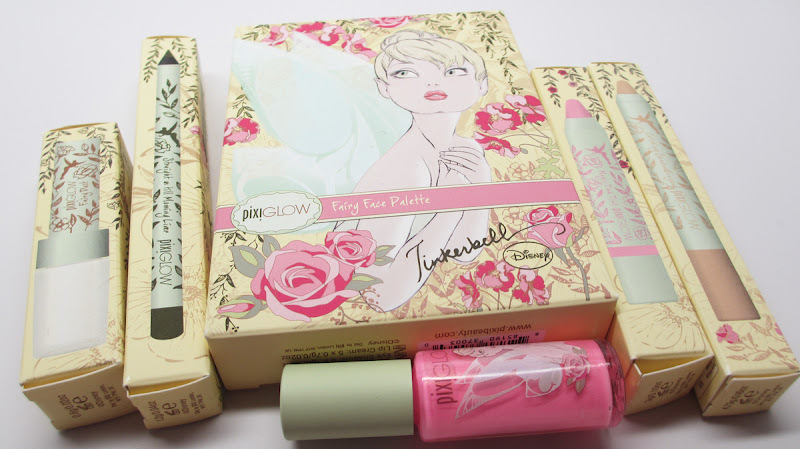 They took Tinker Bell, our favorite Disney fairy and used her as inspiration for the line. 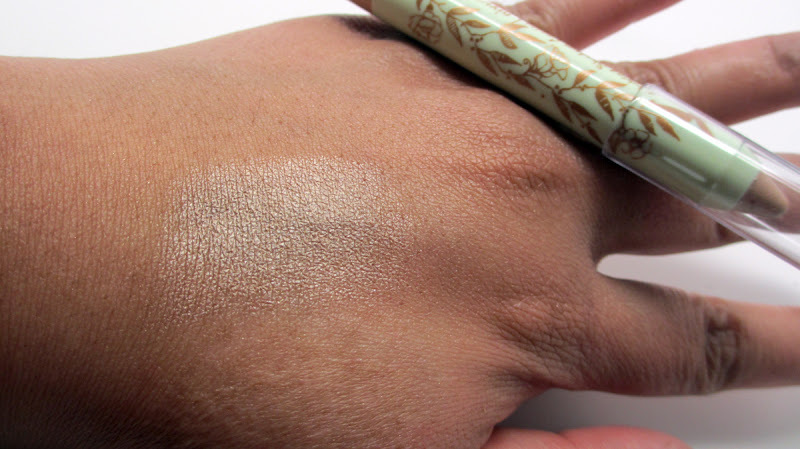 The line emphasizes youthfull and illuminating beauty. There's a nice range of different products to choose from. Onto the review! 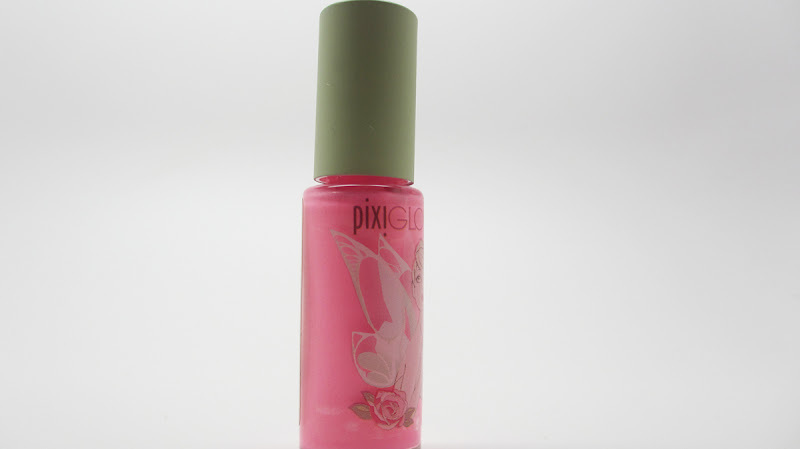 Check out this hot pink nail polish! I seriously loveeeeee the color. Hot! However, it wasn't the easiest to apply. It took a good 3 coats to get it to settle evenly. The end result was worth it but this polish didn't have great staying power either. Straight on till Morning Liner - It's creamy smooth and supposed to be waterproof. 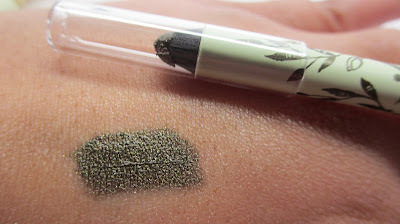 Gorgeous shimmery olive green swatch. It was super easy to apply but I wouldn't say it's waterproof. 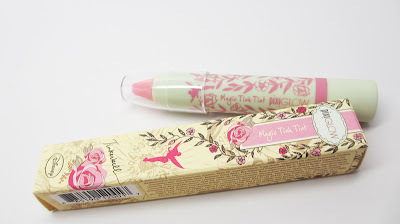 Magic Tink Tint - This is really cool. 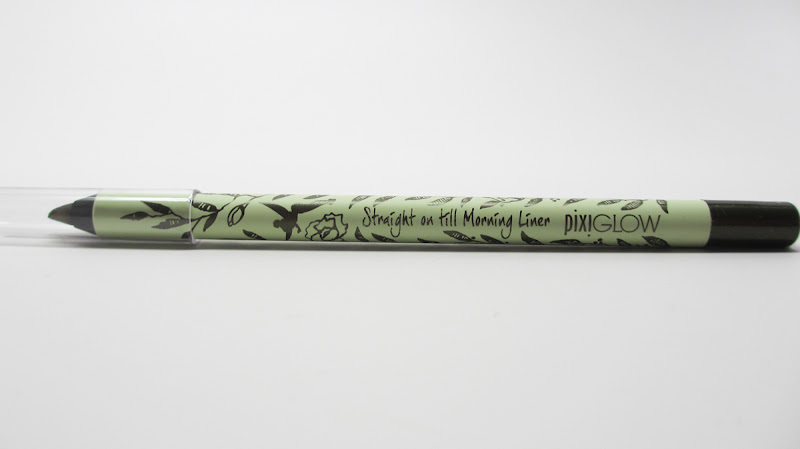 It's like a jumbo pencil but in a plastic case. The product is retractable too. I was surprised at how sheer the product was. I guess I was hoping for more pigmentation. 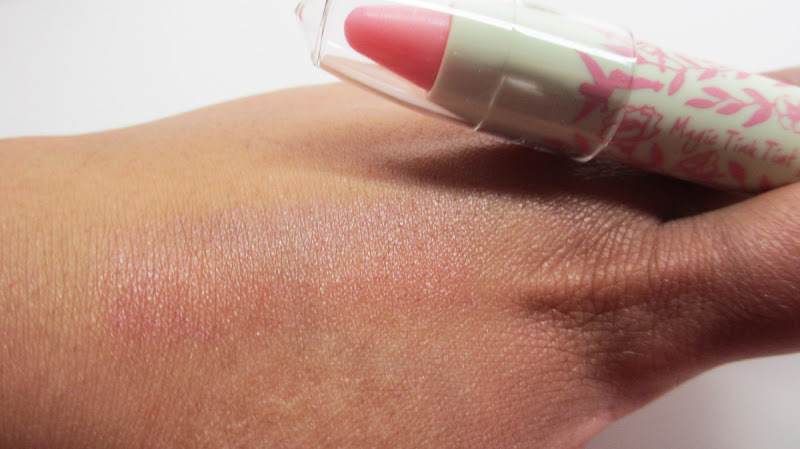 The product is more of a tinted lip balm. I still love the packaging and would love if it was offered in more colors. The Fairy Face Palette reminds me of a toy! 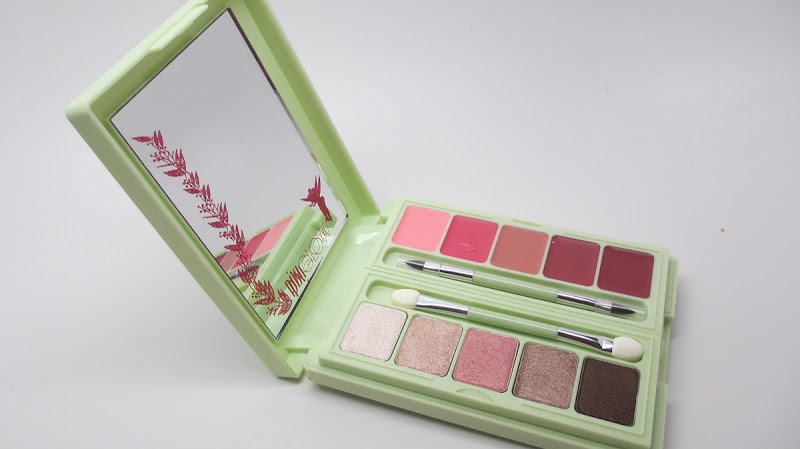 It's got super cute mint green plastic packaging. However, I did find it a bit clunky and struggled to open it a bit. First Layer of lipsticks and shadows. 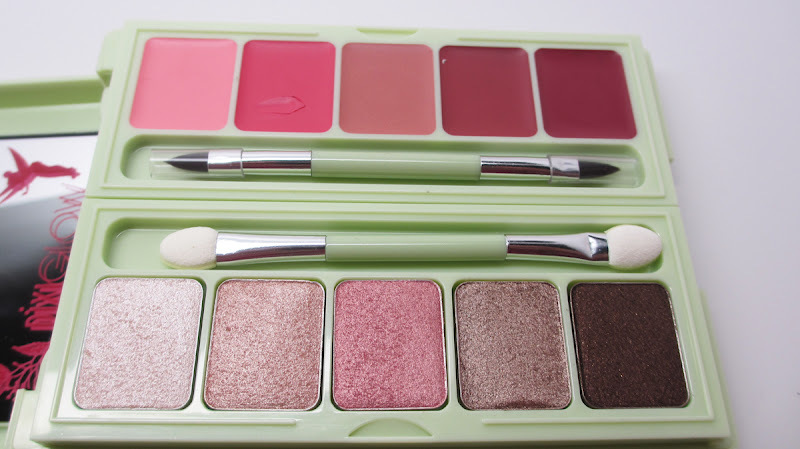 It also comes with a dual sponge applicator brush and a dual lip liner brush. 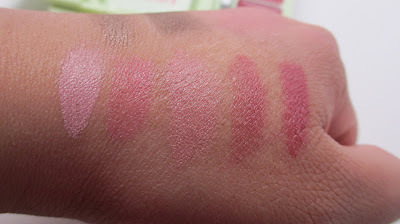 Swatches of the Lippies - I was happy to see that they were so pigmented! 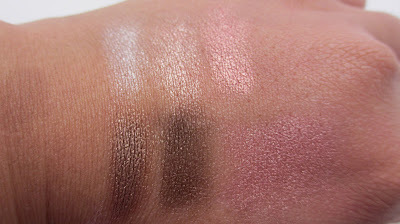 Swatches of the shadows and blush. I was a little disappointed about the quality of the shadows. They were really hard to the touch. Not sure if I got a bad batch but they took a little effort to get product on my brush. The blush is nice, a bit on the sheer side so it's better for up to medium skin tones. The Catching Shadows Crayon makes a nice base. Unfortunately it's not retractable like the lip tint though. It makes a very wearable shimmer champagne base. I've come to favor matte skin tone bases myself, but this is a nice option for those that like shimmer. This was my favorite product out of the bunch. 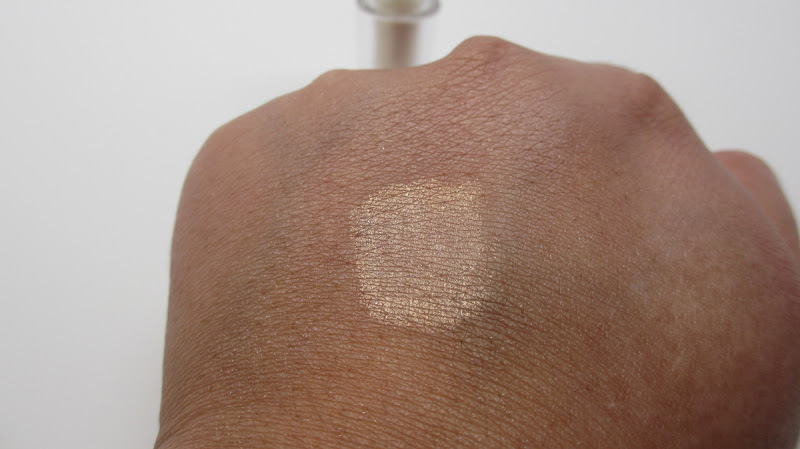 You get a little sponge tip applicator which you dot in this gorgeous gold toned pigment. It looks amazing as a tear duct or brow-bone highlight. Loves it! This line really tickled my fancy. I love the packaging and the theme. 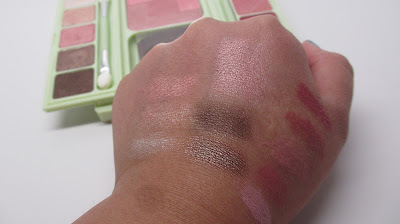 If I was to recommend anything, I'd say check out the liners, shadow crayons and pixi dust. You can find these products at your local target. Enjoy! FTC Disclosure: Products sponsored for review. I am not affiliated with this company and not paid to make this review. These are my honest thoughts and opinions. I wish I could get this where I live. 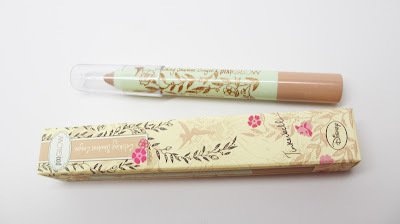 The packaging is so lovely! the neon barbie pink polish is awesome.. wish it didn't have the application issues.